NEWS: Loudoun County, VA, launches "Lyme awareness year"
The county has created a Lyme Disease Commission to implement a 10-point action plan. Loudoun County is fighting back against the rising threat of Lyme disease. On Tuesday, the county Board of Supervisors voted unanimously to declare 2012 “Lyme Disease Awareness Year” in Loudoun. The supervisors also created a nine-member Lyme Disease Commission, which will implement a 10-point action plan to combat the disease in the county. 1) Create a Lyme Disease Commission, appointed by the Board of Supervisors and made up of Loudoun citizens and health care professionals with an acute interest and expertise in Lyme disease prevention and education. This group will be charged with implementing the 10 Point Plan with the assistance of county staff as well as enlisting the help of citizens and organizations whose focus is already on Lyme disease. 2) Create a Lyme survey, as a follow up to the 2006 Lyme Disease in Loudoun County survey, to determine the current key risk factors for contracting Lyme disease as well as any other relevant statistics that will enable a better determination of where work and funding should be directed. 3) Add a high-profile link to the front page of the Loudoun County website that will direct viewers to the County’s web page which contains comprehensive information on Lyme disease prevention and treatment. 4) Develop a set of educational materials targeting different age groups, including elementary schools. Work with Loudoun County Public Schools to provide students with educational materials that can be disbursed through their health classes as well as consider sending out information on Lyme in children’s backpacks, as has previously been done. 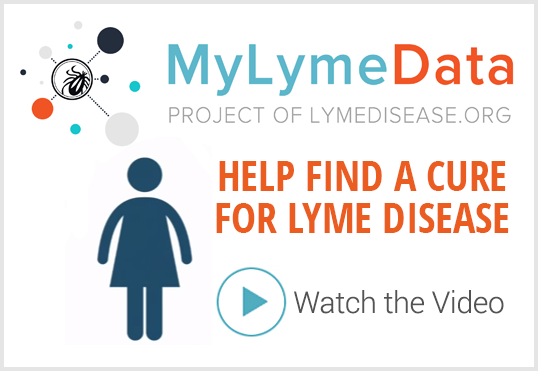 Suggest having a contest for school-aged children to create a tag-line (for example, “It’s Time to Know about Lyme”) and a logo for this effort. 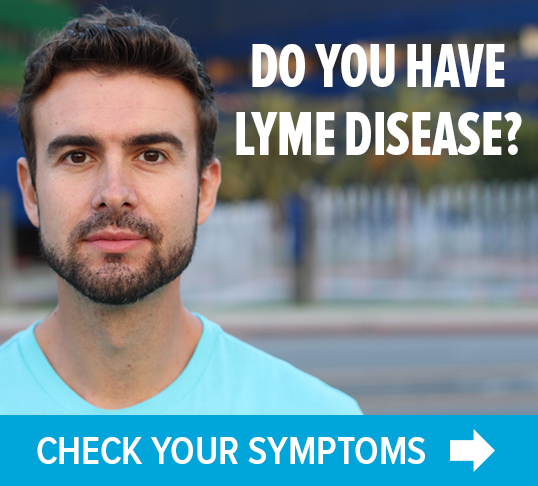 5) Organize a series of Lyme Education Forums within the County that include a panel of experts that can field questions from the public regarding Lyme, provide educational materials to the public as well as help facilitate the formation of Lyme Support groups in underserved geographic areas of the county. 6) Work with the local newspapers to place a series of monthly articles concerning Lyme once a month for the first year, with quarterly articles thereafter. These articles would keep the public up-to-date with advances in prevention and treatment, inform citizens of new resources that are available to them, as well as publish a spraying schedule for public parks. 7) Establish a list of doctors that specialize in the diagnosis and treatment of Lyme disease and provide this information on the County’s Lyme webpage in addition to any new educational materials. 8)Develop information for homeowners on the costs and benefits of spraying their yards for ticks. 9) Provide a Lyme education awareness briefing to all children enrolled in Parks and Rec outdoor programs. There are approximately 10,000 children enrolled in these outdoor recreation camps. 10) Study the cost and feasibility of implementing two types of insecticide applications that will immediately begin to mitigate the spread of Lyme disease in Loudoun: spraying county-owned properties and licensing and placement of 4-poster deer feeders on private and/or public property. The Center for Disease Control (CDC) states that broadcast spraying of areas of concern once a year, reduces the tick population by 65%. b. Four Poster Deer Feeders: Work with the VA Department of Game and Inland Fisheries (DGIF) to study the feasibility of developing a county pilot program for the issuance of permits for the application of acaricides to deer via four-poster devices for the purpose of controlling the tick population and reducing the spread of tick-borne Lyme disease. This program has already been initiated by the Executive Director of DGIF as a follow-up from legislation introduced during the General Assembly session. The program should explore the cost, feasibility, and safety of placing four-post feeders on rural county owned property in addition to assisting private citizens in obtaining and legally gaining permits to safely locate them on their own property. The ‘4-Poster’ device is specifically designed to kill species of ticks that feed on white-tailed deer and especially those for which white-tailed deer are keystone hosts for adult ticks. As deer feed on the bait, the design of the device forces them to rub against pesticide-impregnated applicator rollers. The rollers, in turn, apply acaricides to their ears, heads, necks, and shoulders where roughly 90% of feeding adult ticks are attached. Through grooming, the deer also transfer the acaricides to other parts of the body. Studies have shown that use of four-poster technology has resulted in the control of 92 of the 98% of free-living tick populations in areas around the devices after three years of use. While deer ticks spread Lyme, and ticks use deer as their primary dating website, you also need to treat the rodents that can also host ticks and live closer or inside our dwellings. There are at least 2 strategies for killing ticks on rodents: cardboard tubes with pyrethrum treated cotton balls, which rodents will use as bedding material; and bait stations that have a pesticide wick which the animals pass under on their way to the bait. Either way, the rodents become part of the tick-killing defense system without themselves being harmed by the pesticides. I would like this 10 point plan sent to every governor in the United States. That would be wonderful. Everyone needs to get on the band wagon for educating the medical profession and the public. I am ll in favor forthe education and the publication of lymes disease. however this seems to be a terrible way to introduce pesticides to our free ranging wildlife. I see this really coming back to bite us alot harder than a tick. how about the millions of meals provided from hunters for the hungry program in virginia. are we now going to distribute infected pesticide meat. that sounds like a healthy plan. and im sure its gonna be great for our birds of prey that are making a remarkable come back. go on and catch a poisoned filled mouse. this is a terrible idea. They need to add Claude Moore Park to the list. My family went a few weeks ago to walk in the woods and look at the historic buildings. We were covered in tics! Most were the larva stage. 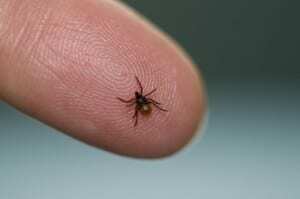 Not sure if I got bit then, but I have tested positive for Lyme Disease this week. Why would some parks be sprayed and not others?